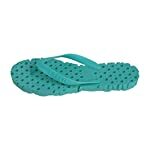 Our Neon Bright Colored Flipflops are the perfect sandal for the Beach,shower or just to relax Anywhere! Besides for the comfortable undersole, they are very stylish as well! Perfect for the Beach,pool,house,shower or anywhere!